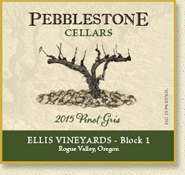 You will notice our new logo on the 2015 Pinot Gris and the 2014 Merlot labels, as well as a number of others. After 10 years of our “Skipping Stone Label”, we have created a new logo based on one of our “Old Vines” in our vineyard. The “bed” of “pebblestones” is also from our vineyard. 1.19.17 - We are now open on Saturday and Sundays from noon to 5 pm through March. Beginning April 1, We will be open every day except Tuesday, Noon to 5 pm. Please call us at 541-512-1655 or email us with any other requests. 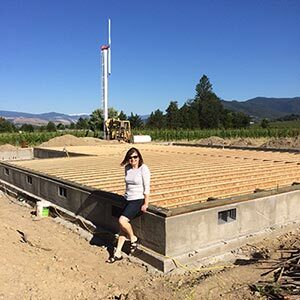 6.23.16 - Our NEW TASTING ROOM being built on the Talent/Pioneer Road side of our vineyard. At this point, the foundation is in, and the sub floor is currently under way. We hope to be in this new facility by October or November. We'll see.....AND we'll keep you posted! NEW discounts and pre-release tastings are advantages of joining our Pebblestone Cellars Wine Club. We'd love to have you as a member. 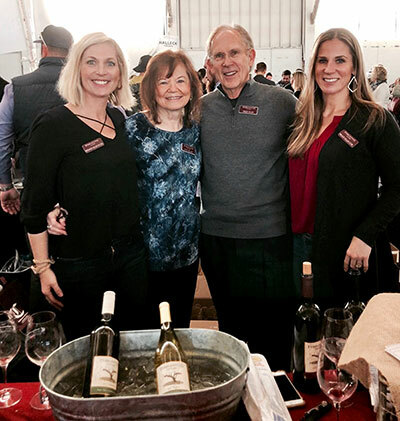 If you’re interested in joining, please go to our Wine Club page.